A little more progress on the Predator done tonight. I’m dry-fitting the turret pieces right now and figuring out how to do that back part. 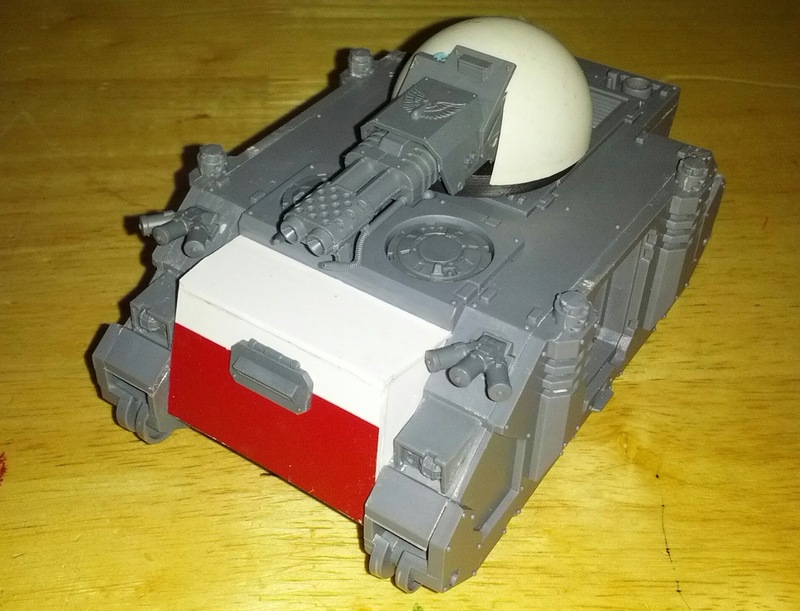 Used half of a ping pong ball and a 40mm base for the turret. Pretty happy with the front, though I’ll probably do some trim work to match the model from Forge World. I’ve been wanting to try and do some custom building lately to try out some new techniques to bring my build quality up, and decided to try and built a Deimos Predator. 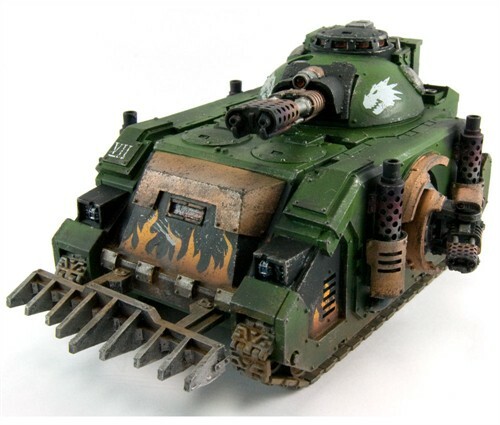 You can see the model I will be attempting to build here from Forge World. 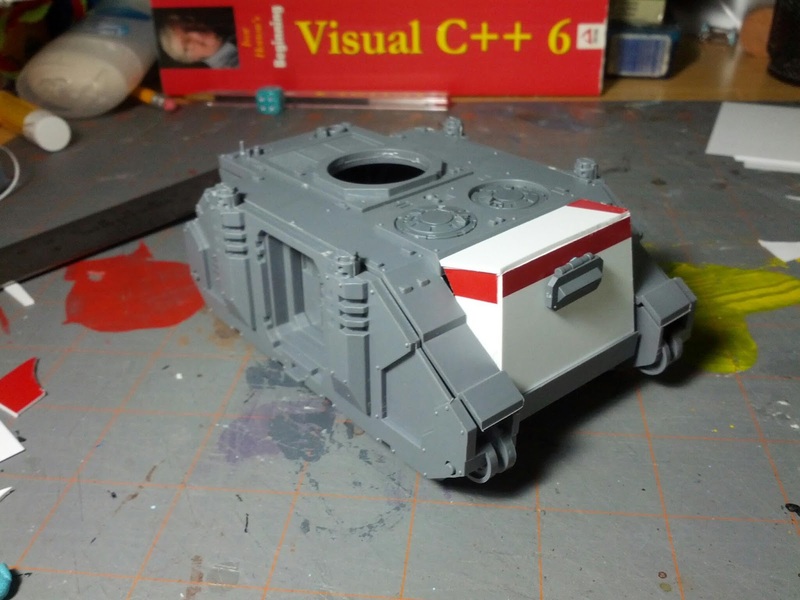 Really enjoy some of the ascetics of the vehicle, though my conversion won’t have everything, but it should be fun to see what I can come up with. I did some experiments bulking out the front tonight with some plasticard, actually I am using for sale signs which are much cheaper. The shape isn’t right yet, but the main point was to try out the material and nothing is glued yet, so it will look much better in the final version.